Biking with my daughter, Ally. I've crossed one finish line, and now have another within my sights. The 2018 Trek Across Maine is now officially complete, but the accompanying fundraising efforts remain open until August 1st. Thanks to the generosity of many, I far exceeded my original $750 individual fundraising goal, and am now on the threshold of raising $5,000 in support of the mission of the American Lung Association. I'm hopeful that, with your support, I might be able to reach that fundraising finish line, and will greatly appreciate any amount you might be able to contribute -- whether it's $10 or $100 -- towards my achievement of that goal. This past weekend marked my first time participating in the Trek Across Maine. 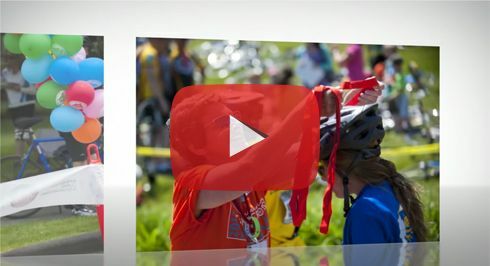 Many riders have had personal life experiences that inspire them to support the American Lung Association through this annual fundraising event. That is true for me. My father died from lung cancer when he was 39 years old, and I have both a brother and a son with asthma. I challenged myself to ride my bike 180 miles in three days (something I have never done before) because it is a wonderful way to raise funds for medical research and programs to help those with lung related health conditions and, at the same time, support my personal efforts to stay as physically fit and healthy as possible. 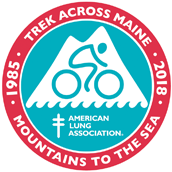 I committed to join many other cyclists and the American Lung Association in a journey across Maine while raising money to support the fight against lung cancer, COPD, Asthma and other serious lung diseases. Among my goals is to increase awareness about the importance of lung health. Did you know that lung cancer is the number one cancer killer of both men and women today? Another alarming fact is that lung disease is the third leading cause of death in the United States.